Looking impressive on the kitchen counter is as good as any other reason to consider this twin function coffee maker and hot water dispenser. I can so far see no bad reviews or complaints with the design view or the general overview of this machine. Available in two colors, black and stainless steel and “brushed” metal red, it is nice and shiny and I have seen worse things to grace a kitchen table, although, maybe, that is a separate chapter altogether. Not exactly over occupying its space in your unit, this is neither big nor small, but can still offer up a heartwarming 12 cup coffee pot. Designed to bring both lovers of coffee and tea together in holy matrimony, this has a separate hot water dispenser, perfect for lovers of tea, hot chocolate and more as well as coffee fiends. Yes, you can operate both sides simultaneously, so that no one has to lose out. Not all coffee machines with a hot water dispenser offer this function. There is an adjustable temperature control, so you can select the heat level on the carafe. This may be particular useful if you only have a smaller amount of coffee left and don’t want it to burn. If you want to be able to pour a drink, mid brew cycle, there is Brew Pause to allow this to happen and you have the convenience of 24 hour programmability, letting you decide what time you want coffee serving in the morning. WHAT DO I LIKE ABOUT THIS MACHINE? The first thing I discovered, that even through the griping and bad points (we’ll get to these later) is no one seems to have mentioned that the coffee is cold. Believe me, this is a very rare thing indeed. Nearly every coffee maker on earth, seems to have someone, somewhere, grumbling that they haven’t been given a skin graft as a result of knocking the output of their coffee machine onto their lap. Generally, no one has bad things to say about the taste or the quality of the coffee this unit produces, when it is working correctly (more on this later also). This is fully automatic and has a self cleaning system in place, to minimize that particular burden. Other good points include a generous and easily emptied drip tray and full auto shut off function. This unit is also BPA free (the carafe is glass) should that be a consideration for you. 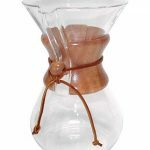 Price wise, it is not the most expensive unit out there, compared to some of the others and in terms of quality of coffee, it is a contender with some of the more pricey machines. WHAT MIGHT BE A PROBLEM HERE? 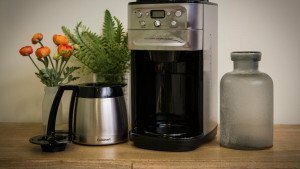 So, you’ve heard what I like about this coffee maker, so what about the things that are not so good? 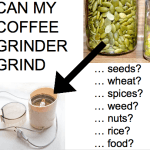 Well apart from the probably universal gripes about possibly, in some cases the thing leaking – here at Know Your Grinder we have reviewed hundreds of machines, can say right now, that this is something that seems to affect every make and model EVER to some degree or other, so maybe this shouldn’t be something to be overly concerned about. However there are some things that perhaps cannot be dismissed so readily. Namely, the issue of the limited warranty. This basically means that you have to pay to send this machine back to Cuisinart. Although the warranty is generous (three years) not everyone is happy about this. It has been suggested that it’s a tad tricky to fill the water reservoir – but this is hardly the biggest failing ever with a coffee machine. One thing that is mentioned, perhaps by light sleepers, is that this is kind of noisy. A loud coffee machine is a bit like a noisy lover. You know they’re doing beautiful things to you, but you don’t necessarily need it advertising to the neighbors. Still, supposing you like being woken up in the mornings, what else may not be so good? The only thing that really classifies as a potential problem to me is the fact that in a small minority of cases, maybe there is some issue with an odd taste coming from the water dispenser. Usually, this can be solved by proper cleaning with water and vinegar. In a tiny number of cases this has not always been successfully resolved, however, it most likely won’t be the case and if it is, you should be able to return it. OVERALL WHAT DO WE THINK? In general, it is probably a little unfair to dwell so much on what are a small number of potential issues, when so many people have been unaffected by them. I personally love this machine, but I do want to give you a bigger picture as well as to what the majority of people out there have said. This coffee maker produces really good coffee that is hot. It is not overly complicated to use and will keep the tea lovers in your house happy too. Perhaps it is not destined to live forever, but, really, at the price, you knew that anyway. 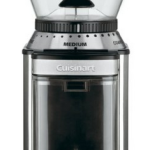 The fact that Cuisinart is prepared to offer a three year warranty (with some limitations, yes) does mean they are hopeful about its longevity and it should do longer than some in this price bracket. In short, a decent coffee maker that can do more and doesn’t look ugly either – highly recommended.